With thanks to Carys for the copy of this novel! As always, my reviews are non-bias and fair. 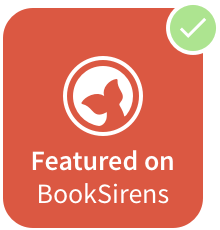 When Carys asked me if I would like to review Sunkissed, I was drawn in immediately by the unusual and enticing premise. I hate that Vampire novels aren't being written so much lately, because they're still one of my FAVOURITE creatures I love reading about and in all the different ways authors interpretate them. So I was really excited to get reading Sunkissed! Immediately, I took a shining to Sunkissed. Carys seemed to write so effortlessly of the past; 1853, to the point where the imagery of the characters and scenes of the plot seemed to spring to life inside my mind, which is quite rare for me when I'm reading. In Fandova, there's only solution for getting any sort of medical attention, which is from Dr. Moralus. It's from here that I was quite intrigued by the different ways of Vampires coming about and being introduced into the plot, instead of the characters choosing that life for themselves, this was Dawn's only chance for life, because she's dying. But the unexpected came when Dawn's fiancée; Thomas, insisted that he be like her. But it seems that they both want this new life in different ways completely. There are quite a lot of Vampire books on my shelf; Rachel Caine, Charlaine Harris and Holly Black to list a few of my favourites. Carys is a very welcome addition to that list. I was so enthralled from just a few pages in. I know it's cliché to say that, but with my love for Paranormal novels and the captivating tale (set in the past in the beginning, like playing straight into my favourite things in Fantasy novels), everything about Sunkissed just seemed to be ticked off as something I loved as I read. But, trust me, this is so much more than a compelling Vampire novel; there's a purpose and gripping tale to match. Not only did we have the difference in time spans of the 150 years, but a refreshing take on Fantasy romance to go with it. 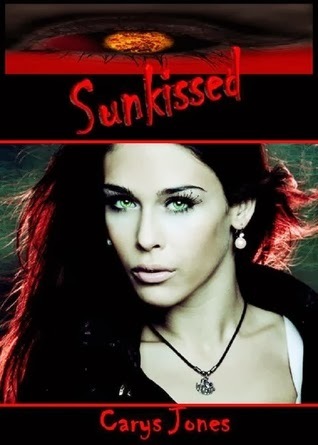 Dawn was an effortless, lovely main character to read about. Even after she is turned into a Vampire, she never looses that humanity that she always had, even though Thomas, the other main character, doesn't seem as if he ever planned on keeping himself as human as Dawn did. They're both very different, complex characters in their own way. He is very careless and even when Dawn is only newly un-human, Thomas isn't very caring and seems to be slowly and steadily turning into something she hadn't thought capable of him, and it honestly shocks her when he says that she has no heart. Nevertheless, I remember a quote that I saw before, that goes something like; a Villain is just a victim who's story hasn't been told, so I was enchanted to know that maybe there was a little something about why Thomas took to that transformation in a completely different, monstrous way to Dawn. Ryan was such a welcome character and the way that he and Dawn interacted was a highlight of mine in the novel. Even though I thought Thomas was a more exciting and striking character, Ryan still a favourite of mine. Powerful enough to keep my attention for hours, I read Sunkissed in one weekend and loved every chapter. It was a truly magnificent read that deserves all the recognition it gets. Carys wrote a novel that I would happily read again and again. It lived up to every expectation I had of how amazing it would be.